Sinemorets is a charming village and seaside resort on the Black Sea coast of Bulgaria, located in the most southeast of the country close to the border with Turkey, where the river Veleka flows into the sea. The name of the village means "place on the blue sea". Today the population is about 200 persons. 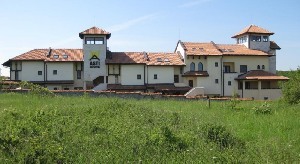 It is situated in Strandzha Nature Park.